Auburn Green is a development of 14 homes comprising of 10 x 4 bedroom terraced, 1 number large 5 bedroom detached house and 3 x 2 bedroom apartments. 2 Bed Apartments are sold out. Register for cancellations. Auburn Green is located just off Rochestown Avenue, Glenageary, Co Dublin. 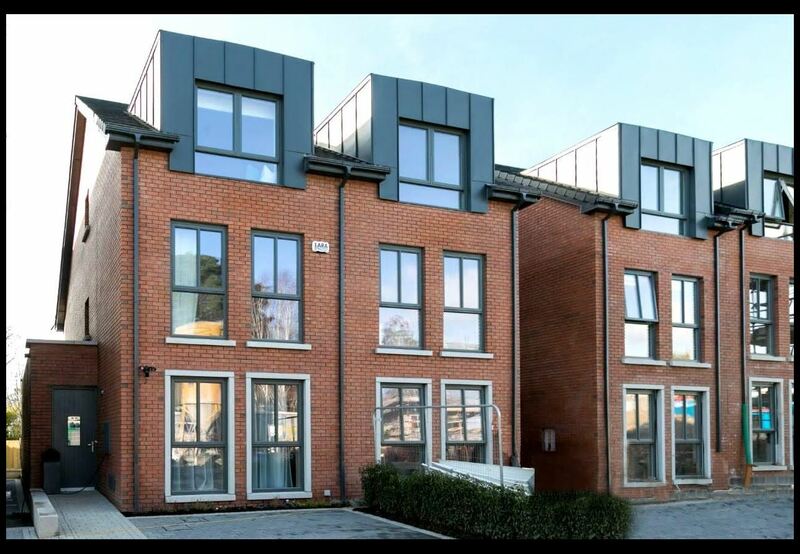 This exclusive development is surrounded by parkland and is walking distance from Killiney Shopping Centre and Killiney Golf Course. Some of South County Dublin’s most prestigious primary and secondary schools are located within close proximity including Loreto Abbey, Rathdown, Castlepark, Holy Child and The Harold to name but a few. Killiney Village and the heritage village of Dalkey are both a short distance away, offering an excellent assortment of shopping, sports and leisure facilities. Directions: Coming from Dun Laoghaire (R828) heading to Killiney take right off Rochestown Avenue on to Granitefield Road and take first left on to Auburn Road. The development is at the end of this road on the left. Coming from the N11 turn left onto Johnstown Road. Take third turn right onto Granville Road, first left onto Woodlands Road. Take fifth turn on your right onto Auburn Road and it's at the end of the road on the left.